Durable goods provided a mixed message on the economy. Last month’s strong performance pointed to continued growth. This month, however, suggested slow growth with the big bump aircraft and transportation new orders almost entirely offset by a drop in other capital goods orders, especially in fabricated metal products. Orders for durable goods show how busy factories expect to be in the next few months as manufacturers work to fill those orders. Companies commitments to spending more on equipment and other capital, indicate that they are forecasting sustained growth in their business. 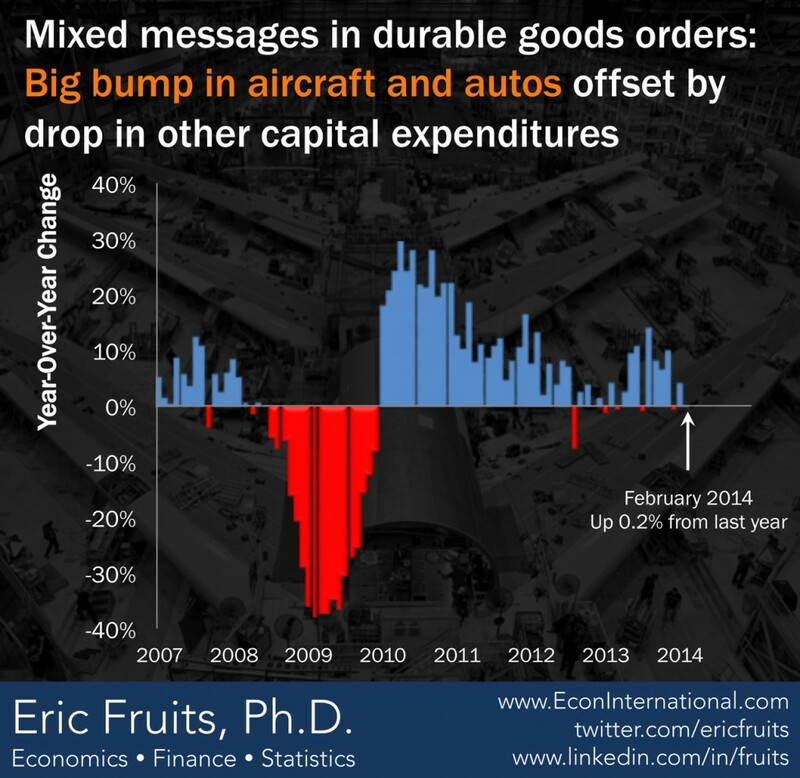 As such, durable goods orders are a leading indicator of industrial production, capital spending, and economic growth.